We have to realize that once the ink is dry on Hillary’s signature, there are only two ways to beat the Treaty and its threat of UN imposed gun control – take back the Senate or beat Obama. The fact that the NRA has succeeded in getting fifty-eight Senators to sign on opposing the Treaty is irrelevant. If Harry Reid won’t bring it up on the floor, it won’t get a vote. And, in the absence of Senate disapproval or a renunciation by the president, the United States is bound by the Treaty under the provisions of the Vienna Convention which we have both signed and ratified. Nor will the Second Amendment offer us any protection. The Supremacy Clause in our own Constitution provides that treaties are the “law of the land” akin to a constitutional provision. The answer is to beat Obama and give the Republicans a majority in the Senate. Either will suffice to kill the Treaty. A Republican majority leader would certainly bring the Treaty up for a vote and it would certainly be defeated, ending its power over the U.S. and a President Romney will doubtless renounce the Treaty on taking office. Voting for anti-gun control Democratic candidates for Senate won’t work. Their leader would refuse to bring the Treaty up for a vote, regardless of how his members felt. We know that Obama is frightened to death of the gun issue. While he said, famously, that bitter people “cling to their religion and their guns,” in the 2008 election, he hasn’t touched the issue since. In his avalanche of liberal proposals concerning spending, taxes, health care, labor relations, the environment, and energy, he has proposed no added gun controls. So we need to realize that this Treaty is a declaration of war against the Second Amendment and we need to step up and battle. We have got to make gun control the issue that tips swing states like Pennsylvania, Ohio, Michigan, Wisconsin, Indiana, Missouri, Iowa, and Colorado into the Republican column on Election Day. Now there is no way to save our right to bear arms other than to win the election. Click Here to sign the petition to stop the US from signing the Arms Trade Treaty! 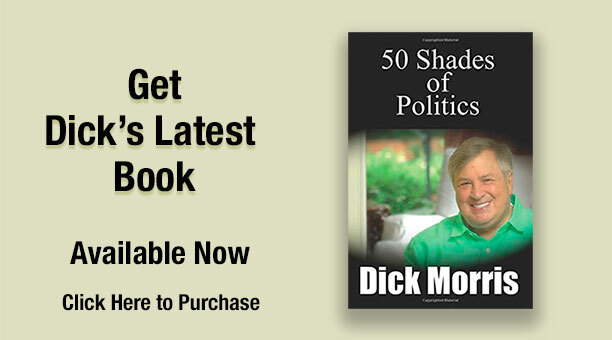 Please subscribe to my columns and videos at DickMorris.com. I’ll help keep you posted on this threat to our rights and I’ll give you weapons to use in persuading your friends to vote for our cause. Please forward this email to your friends and family so we can defeat the Arms Trade Treaty.